San Francisco may hike a corporate tax that includes the value of employee stock options — right as companies like Lyft, Pinterest and Uber are going public, the San Francisco Chronicle reported Wednesday. Twitter, Zendesk and Square. But now that the initial public offering pipeline is filling up again with companies like Uber, Airbnb, Slack and Postmates, Mar believes these companies should pay more to help offset “negative impacts” of their growth, like housing affordability and traffic congestion, the Chronicle reports. Mar plans to propose the tax officially in May. Six members of the Board of Supervisors need to support the plan to put it on the ballot, and the proposal needs a two-thirds vote to pass in November. Initial city estimates demonstrate that the tax could collect between $100 million and $200 million in the first two years, the Chronicle reported. Read the article from the San Francisco Chronicle here. Salesforce invested $100 million in Zoom‘s IPO, and it’s paying off quickly, almost doubling in value in just three trading days. Dropbox and SurveyMonkey, hoping to benefit from the expected pop and to forge a tighter bond with emerging cloud software companies. The strategic piece of the Dropbox deal has the companies working together on customized Dropbox folders inside some of Salesforce’s products and an integration between Dropbox and Quip, the productivity software suite Salesforce acquired in 2016. Zoom is also planning to work within Quip, allowing users to start a live meeting from the app, Somorjai said. The SuveyMonkey partnership includes integrating data collection tools in Salesforce. While buying into IPOs is a new strategy for Salesforce, the company has been active in start-up investing for a decade. Last year, it had the second most active corporate venture group, behind only Google-parent Alphabet, according to CB Insights. Salesforce Ventures did 95 deals in 2018 and has been busy expanding outside the U.S., launching $100 million funds last year in Canada and Japan, followed by a $50 million Australia fund last month. Some of Salesforce’s earlier-stage bets, like Twilio and DocuSign, have also gone public. According to its latest quarterly filing with the SEC on ownership stakes (predating the Zoom IPO), the company owned shares in five public companies with stakes worth over $440 million in total. Somorjai said he and his team noticed Zoom taking over the market last year, when the product started showing up in seemingly all of their portfolio companies and in internal meetings at Salesforce. That’s one way Salesforce Ventures scouts deals, because it provides a clear window into what kinds of products work well with Salesforce’s software and what’s gaining real traction in the market. Somorjai acknowledges that the company leaves plenty of money on the table by only investing in companies where it sees a chance for a close partnership. But there also aren’t many companies that look like Zoom, which more than doubled revenue in 2018 and turned a profit. “It’s one of the best S-1 filings I’ve ever seen,” he said. Initial public offerings, with the exception of Lyft (LYFT) , have made remarkable gains in the early days of public investment so far in 2019. PagerDuty ( PD) , Pinterest ( PINS) , Zoom Video ( ZM) , Jumia Technologies ( JMIA) , Levi Strauss ( LEVI) , Tradeweb Markets ( TW) , and many more have all rocketed upwards after IPOs. Many of the aforementioned companies even managed to do so after setting their IPO price above initial estimates and surging 50% or more on the first day of trading. While the adulation is piled onto executives at present, the implications are a bit worrying. First of all, almost none of the names above are profitable and are only engaging investors on a hope that the companies will make money some day. With the Nasdaq at all-time highs, it’s a bit reminiscent of 1999. According to Zacks, 1998 brought 363 new companies to market. In 1999, that roared to an all-time record of 510 IPOs. While we’re not to that level, the amount of money being thrown around on blockbuster deals is comparable. From 1998 to the first quarter of 2000, the Nasdaq Composite marked a nearly 400% gain as everyone wanted to get in on new tech companies, regardless of valuations or earnings potential. By the close of 2002, the index was down nearly 80% from its highs. For investors piling in at the index’s peak, it would take 15 years simply to break even. While I am far from awaiting the IPO apocalypse, the money chasing these new names is demonstrably irrational. The most pressing issue stemming from this is the question of just how much more irrational optimism is out there for names like Uber, Slack, Palantir, and possibly Airbnb. That may force many of these names to front load their listings to make sure they aren’t last to market when much of the money is dried up. They can’t all be winners in that situation. For longer-term investors, not all of them can make money. With valuations in the billions, that’s a lot of money to wipe off the table. On the other side of this coin, it’s taking capital potentially away from existing tech names as investors chase unicorns. That’s not a good brew for investors in high-tech names who may have lost their shine amid the IPO excitement. The bottom line is that the getting is good for just about any company heading to market now. But the lack of concern for net losses can’t last forever. Let’s say you read an article about a private company that’s growing fast and seems headed for an IPO. Unless you happened to have been able to invest in the company while it was private, chances were good that you would not be able to own its stock until after it went public. But if you happen to be an accredited investor — e.g., your income is greater than $200,000 or your net worth exceeds $1 million — you could have a chance to buy shares in the company earlier. Forge — which has raised $88.5 million and according to Rodriques will employ 130 people after completing its March 2019 acquisition of custodial services provider, IRA Services — is working with Slack which is planning a direct listing. In Slack’s last private capital round in August 2018, it raised $427 million at a valuation of $7.1 billion. Through Forge, you could purchase shares of Slack at that valuation. But Slack thinks it’s worth more now. In February 2019, the business messaging service was talking about listing at a $10 billion valuation, according to Forbes. If that actually occurred, you would be able to sell those Slack shares on the day of the IPO and earn an attractive return on your investment. Forge plans to raise up to $1 billion in the next year by selling a series of structured notes linked to the shares of startups. BNP Paribas will offer these derivatives — linked to the 300 unicorns — both to institutions and wealthy individuals in Europe and Asia, according to the Wall Street Journal. Forge makes money by “charging a transaction fee of 2% to 4% when it provides liquidity to sellers. But as the market gets bigger, the fee percentage declines. We also charge a custodial fee for holding the asset in a private securities account,” he said. Forge wants to remain private for a long time. 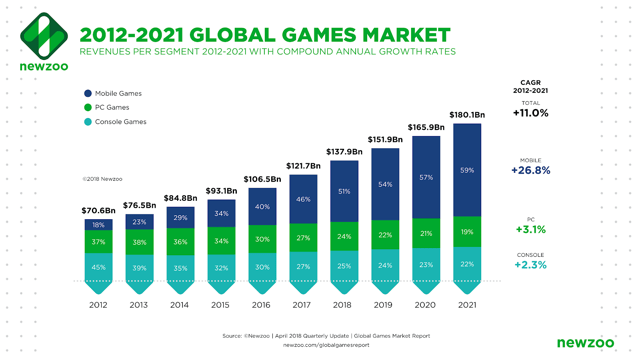 “We have tripled every year for the last five years and will do that in 2019. If we do an IPO, it won’t be fore a long time. I like the flexibility of being private compared to the scrutiny of quarterly reporting.” he said. Postmates is betting on more people wanting food delivered to their doorsteps. The delivery company announced on Tuesday that it has added 1,000 more cities to its service, bringing the total number of cities in its universe to 3,500 across 50 states. With the expansion, Postmates says it’s available to more than 70% of U.S. households up from 26% in mid 2018. The news comes as Postmates prepares for an initial public offering—it confidentially filed for an IPO in February—joining a growing list of Wall Streets debutantes this year including Uber, Lyft, and Pinterest. Postmates also faces heated competition from large on-demand food delivery services like DoorDash, Uber Eats, and Grubhub. The fourth-largest food delivery service by consumer spending, Postmates has kept a relatively low profile in recent years. But two big investments, totaling $400 million, in the last seven months has enabled Postmates to expand. After its most recent round of funding in December, Postmates reportedly had a private valuation of $1.85 billion. DoorDash’s most recent valuation, in February, was $7.1 billion. Most of Postmates’ growth comes from its food-delivery business, Lehmann said while declining to provide any financial details. Postmates also delivers everything from iPhones to groceries and alcohol. “We wanted to enable anyone to have anything on-demand,” said Lehmann, who co-founded Postmates with Sean Plaice and Sam Street in 2011. In the past few years, Postmates has debuted new services that helped to increase the number of orders, improve efficiency, and attract new customers. Postmates said its service is particularly popular among millennials, who represent about 75% of its customers. The first new service was a membership program called Postmates Unlimited, which debuted in 2016. For $9.99 monthly, customers get free deliveries for orders that cost more than $15. Lehmann said Postmates Unlimited accounts for more than a third of all orders and triples the average frequency of orders per user. Unlimited users spend an average of $3,000 annually, which is reportedly about double the average amount spent by Amazon Prime users on Amazon in 2018. Postmates views Amazon as a competitor, as they both aim to be the delivery service for all items. In March, Postmates introduced Postmates Party, which now represents about 12% of orders. The new delivery option gives customers the chance to get free delivery from restaurants from which people around them are already ordering. The point is to give drivers a chance to make more money by giving them multiple stops on the same trip while providing customers free delivery and helping Postmates reach more people. But Postmates faces a major challenge in overtaking its larger competitors, according to some of the latest data. Data research firm Second Measure says that Postmates accounted for just 10% of total consumer spending in the food delivery space in March. Meanwhile, Grubhub had 33%, DoorDash had 30%, and Uber Eats has 22%. But that doesn’t include Postmates Unlimited purchases. Second Measure says that even though Postmates’ sales have increased 73% in the past year, its market share is relatively unchanged. Brandon Liverence, data analyst at Second Measure, said all food delivery companies are benefiting from increased demand. Postmates just isn’t growing as quickly as some of it’s larger competitors, he said. Lehmann responded to a question Postmates battling against bigger rivals by saying that he isn’t too worried. He pointed to his company dominating in coastal cities like Los Angeles and the company’s continued growth overall. Postmates also has been able to avoid some of the scrutiny facing payment of on-demand workers. Amazon Flex, Instacart, and DoorDash were among companies that sometimes used tips to cover drivers’ minimum payments. Drivers complained that these companies were stealing their wages by pocketing some of their tips. Lehmann said he’s against this practice and believes state legislators should pass laws across nationwide that would make such a payment scheme illegal. As for Postmates, expanding to 1,000 more cities was a strategic move. The company is going into cities like Park City, Utah; Santa Cruz, Calif.; and Myrtle Beach, S.C. where Postmates thinks it can become one of the top services because there is little competition, is already strong in a nearby town, or has partnerships with local businesses. 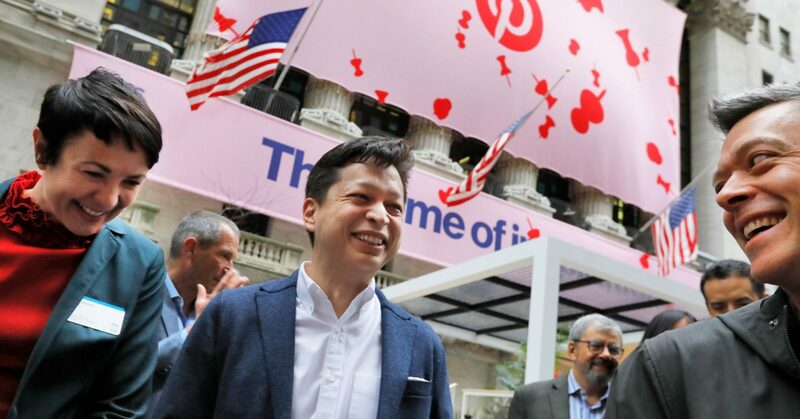 Ben Silbermann became a very rich man on April 18 when Pinterest began trading as a public company on Wall Street, but the co-founder and CEO of the virtual pinboard could have been significantly richer. On Monday it was estimated that he is now worth $1.6 billion. The company’s valuation on Tuesday reached near-$14 billion in trading. Pinterest, or any company that’s going public, but the issues that resulted in the situation are fairly common. In Silbermann’s case, he received 31.2 million options in 2013, but based on Pinterest’s S-1, they remain unexercised. Had he exercised them when the opportunity arose, they likely would have been eligible for long-term capital gains. Now he’ll face short-term capital-gain taxes that could be as high as 45%. The clock for long-term capital gains treatment starts once someone holds stock vs. a stock option. Typically, founders will either receive or take their equity ownership in stock from day one, or exercise their stock options when they’re granted — when they have very little perceived tax value from an IRS standpoint. Assuming they hold those for a year or more, the proceeds, when they ultimately sell them, are considered long-term gains. Silbermann didn’t exercise the options, though, and the value when he does (assuming he does at all) will be considered in the tax calculation. By exercising the options when they had a low value, he could have taken the most tax advantageous route. But Silbermann hasn’t always done things in the typical Silicon Valley start-up founder fashion. He preferred to avoid the press over the years; rejected the move-fast, break-things and chase-growth-at-all-costs unicorn mantra and refused to shell out tens of millions of dollars in marketing at a time when growth was slowing for the company. When Pinterest finally went public, Silbermann did not include a founder’s letter in the S-1 filing, a soapbox many new tech titans use to sing the praises of how their firm is changing the world for the better. IPOs, especially successful ones like Pinterest, can make instant millionaires out of early employees and garner profitable new opportunities for a company, but they can also bring about decisive changes in the workplace. There’s also the risk of a culture shift, as executives are required to focus more on shareholder concerns. And slip-ups that might have been minor when they were in stealth mode or private can now be stock-altering events. It’s not just investors watching how a company performs after its IPO, it’s potential employees as well. Should executives misjudge the market and face a significant drop after trading begins (and no subsequent recovery), it becomes very challenging to bring on quality talent. As a private company, it’s easy for potential employees to follow funding rounds. Bigger rounds generally attract more qualified workers. But “if you’re a company that goes through a 60% market dip, it’s going to be a lot harder to attract those,” said Snider. As for Pinterest, the day one results were encouraging. It will, of course, be months before we see if that market optimism is sustained. Employees are hoping so for several reasons, but largely because they want the stock to be high when their lockout period expires. Many employees with vested options or who hold shares will likely cash out some of their shares when Pinterest’s lockout expires. Unlike Uber, which has had several liquidity events for employees, Pinterest hasn’t had the chance to cash in their holdings for five years, said Snider. The opportunity to cash in now will be very tempting to some. And it’s not a bad idea to take advantage of that opportunity. Holding stock in your company isn’t a bad idea, but diversifying that wealth is a better long-term plan. It’s likely too late for Pinterest employees who weren’t proactive in their planning. But for employees at other pre-IPO companies, Snider said it’s important to know what type of stock units you hold and the different tax implications you face when those shares are sold or options are converted. One thing you probably won’t see at Pinterest is a notable employee turnover in the immediate future. 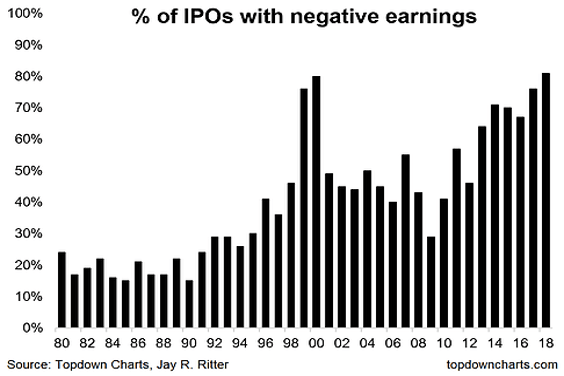 When a company IPOs, there are generally two factors that encourage workers to stay. Some simply haven’t hit vesting milestones and stand to lose a considerable amount if they leave early. Others don’t want to be forced to exercise options before they’re able to sell shares, as it could create a tremendous tax burden. Say, for instance, an employee was offered an option of 1,000 shares at 50 cents per share. If that option is exercised prior to the IPO, they simply write a check and hold on to the shares. If they were to exercise that option when the shares were selling for $100 each, that could be applied to their income, even if they don’t or aren’t able to sell the shares. SciPlay (SCPL) has filed to raise $330 million in an IPO of its Class A common stock, per an amended registration statement. 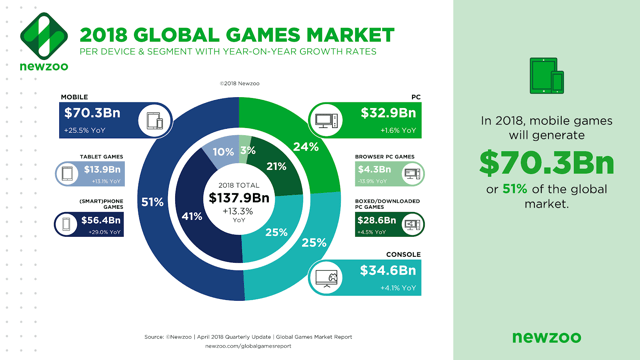 The company develops and distributes casual mobile and social casino web video games. Given the firm’s market position, growth rate, profitability, and positive cash flow, the IPO may be worth considering, although it will likely be difficult to obtain an allocation at the retail level. The sales efficiency rate, defined as how many dollars of additional gross profit are generated by each dollar of sales & marketing spend, was 0.6 in the most recent year. SCPL intends to sell 22 million shares of Class A stock at a midpoint price of $15.00 per share for gross proceeds of approximately $330 million, not including the sale of customary underwriter options. Assuming a successful IPO at the midpoint of the proposed price range, the company’s enterprise value at IPO would approximate $1.9 billion. Excluding effects of underwriter options and private placement shares or restricted stock, if any, the float to outstanding shares ratio will be approximately 17.41%. $25.2 million to purchase LLC interests from SG Holding I (based on the assumed offering and sale of an aggregate of 22,000,000 shares of Class A common stock in this offering at an initial public offering price of $15.00 per share, which is the midpoint of the range set forth on the cover page of this prospectus). Expected IPO Pricing Date: May 2, 2019. Beyond Meat plans to use proceeds from the IPO to invest in expanding its operations, including research and development and marketing, it said in a news release. Best known for its Beyond Burger, made to “look, cook and taste like traditional ground beef,” Beyond Meat launched in 2009. Its approach, also taken by rival Impossible Foods, happens to track with current American eating trends. A Nielsen Homescan survey in 2017 that 39 percent of Americans to be actively trying to eat more plant-based foods. In fake meat’s favor, sales of vegan staples like tofu, brown rice and granola have flattened, while sales of other, plant-based alternatives, including meat and cheese alternatives, have surged, Nielsen found. Beyond Meat in January said it was rolling out its plant-based burger at fast-food chain Carl’s Jr.
Its products can also be found at Whole Foods and Kroger, as well as on menus at TGI Friday. Investors in the company include Tyson Foods, actor and activist Leonardo DiCaprio and Microsoft co-founder Bill Gates. 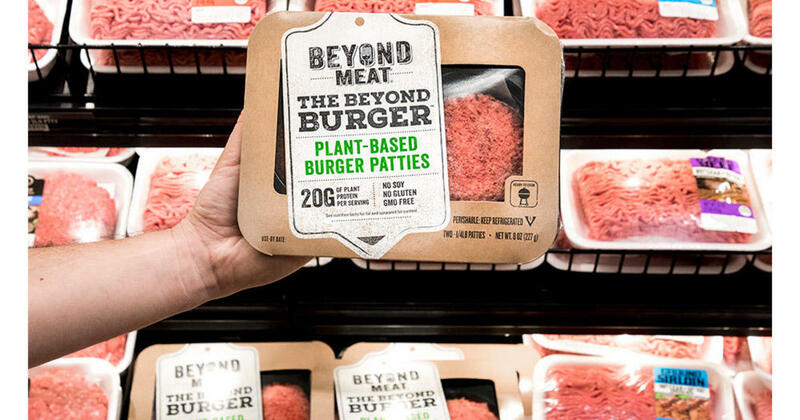 Beyond Meat’s products are sold at Whole Foods, Kroger and Target.